Silk Up is a user friendly Softphone from JSC Silknet that enables you to make calls over 3G/LTE or WiFi connection. 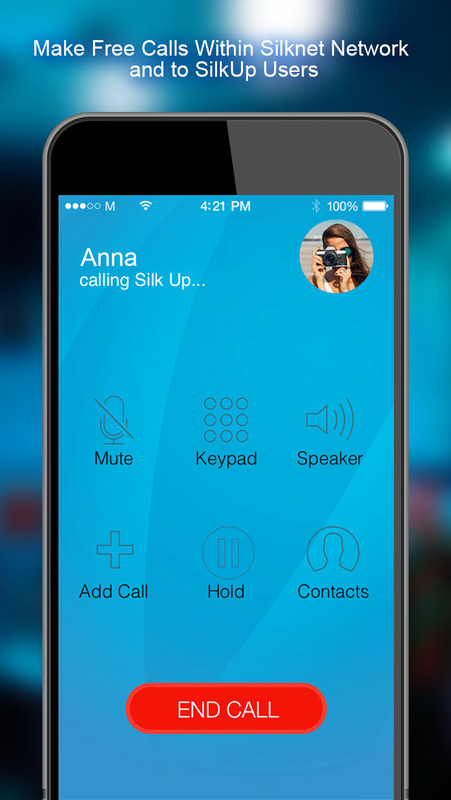 Silk Up can be used to make free calls to Silk Up and within Silknet network. You can also make low rate calls to other mobile and landline networks throughout the world. Simply download Silk Up from the App Store, sign up for free and start making free calls right away. – A free Silk Up number – +995 322 XXXXXX – will be assigned to you right after the registration and it can be viewed any time in Settings and in your Silk UP phonebook. Some mobile operators may prohibit the use of internet telephony over their mobile internet network. Additional data costs may apply using Silk Up for some mobile networks.